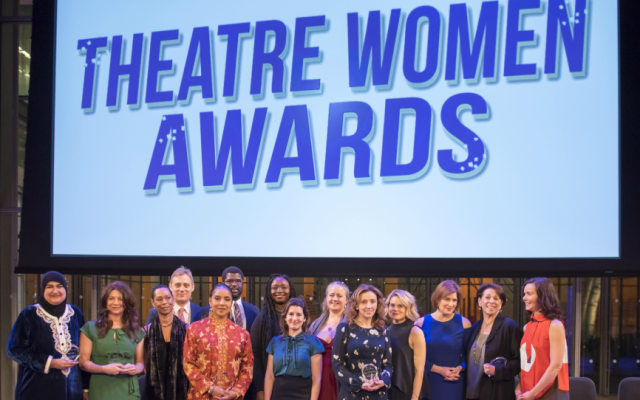 The League of Professional Theatre Women (LPTW) has announced the recipients of the 2019 Theatre Women Awards, which will be presented at the Sheen Center for Thought & Culture on March 25. You can get tickets here. LPTW will honor director and choreographer Graciela Daniele with a Lifetime Achievement Award. Daniele has directed productions on Broadway, at Lincoln Center, the Public Theater, and at regional theatres. Her credits choreography credits include The Visit in Broadway. She’s earned 10 Tony Award nominations, and six Drama Desk nominations. The Josephine Abady Award, which recognizes a theatre artist who has created work of cultural diversity, will be given to director May Adrales. Acting teacher and author Mari Lyn Henry’s service to the industry will be recognized with a LPTW Special Award. The LPTW Lucille Lortel Visionary Award, which is given to aspiring theatre women working outside the parameters of production, will go to the founding members of The Kilroys, a collective of female playwrights and producers in Los Angeles who work to promote gender parity in theatre. Scenic designer Mimi Lien will receive the Ruth Morley Award, given to an outstanding female theatre designer in memory of costume designer Ruth Morley. LPTW will bestow another special award on translator, director, and producer Joanne Pottlitzer for her service to the field and her contribution to the League in establishing an international committee. The Lucille Lortel Award and grant, given to artists who show creative promise, will be awarded to producer and dramaturg Natasha Sinha. Playwright Karen Zacarías will receive the Lee Reynolds Award, given annually to woman in theatre whose has helped to illuminate the possibilities for social, cultural, or political change.